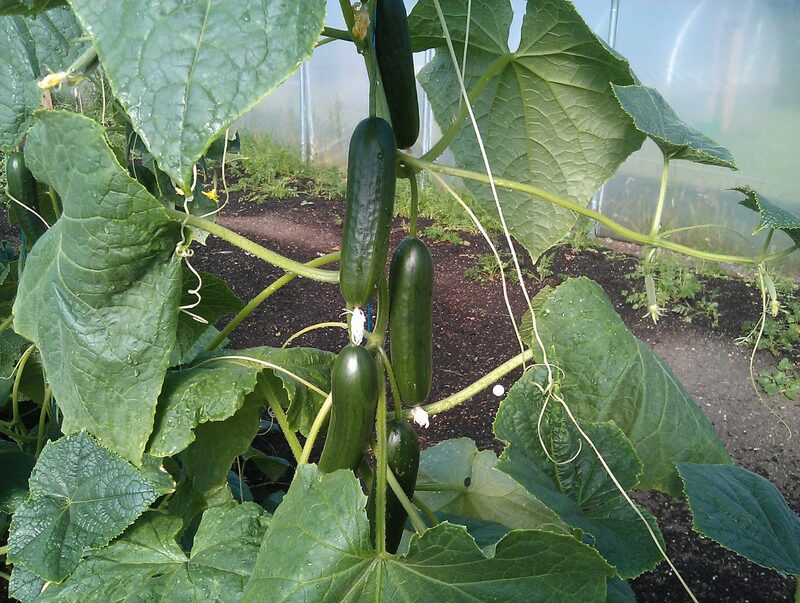 The cucumbers are doing brilliantly. 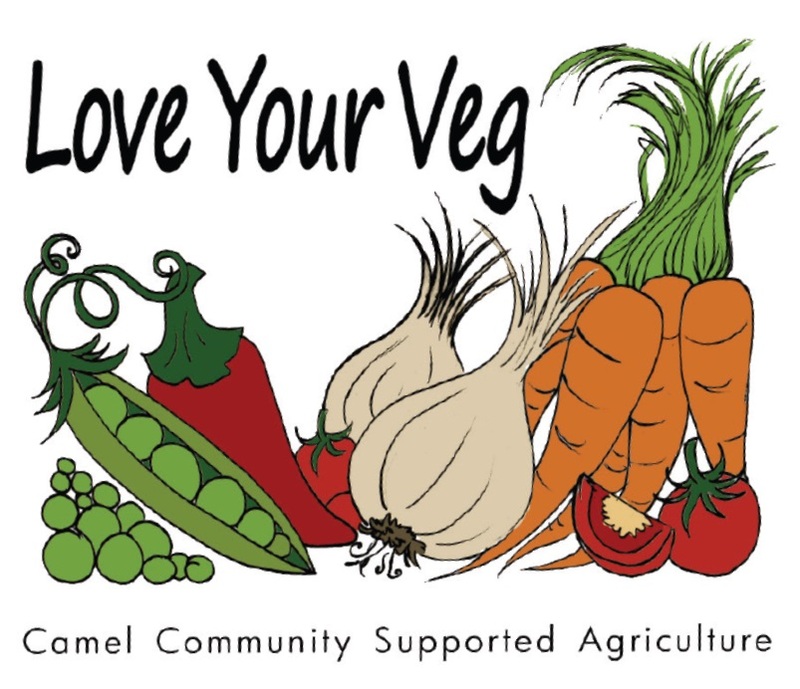 Special thanks to Camel CSA member Rosemary Neal for the gooseberries from her garden. It’s almost time to start picking tomatoes. 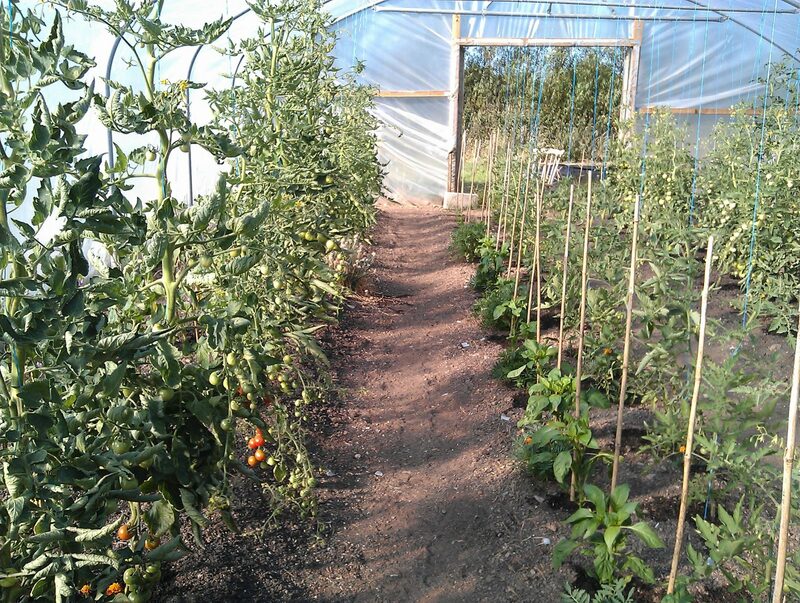 They share a polytunnel with aubergines, sweet peppers and chillies. 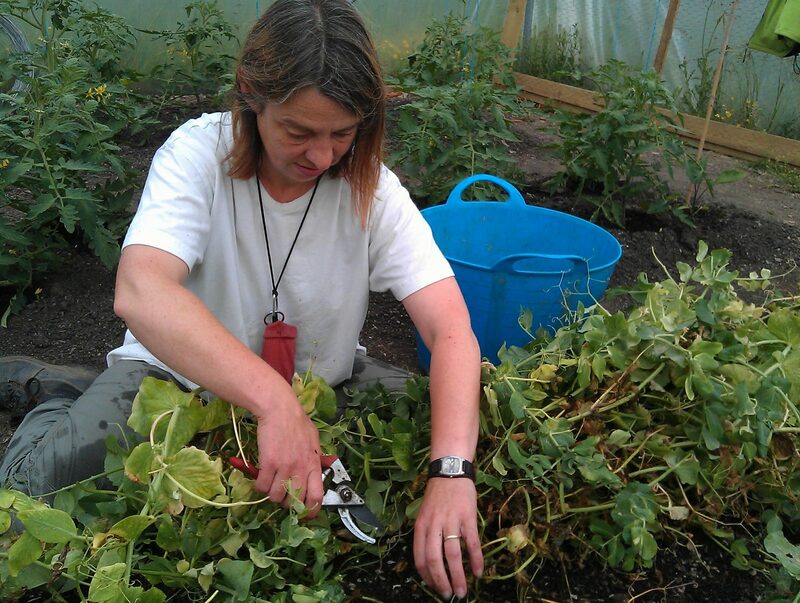 We’re already harvesting cucumbers, which are growing happily next to coriander, mixed lettuce and rocket. 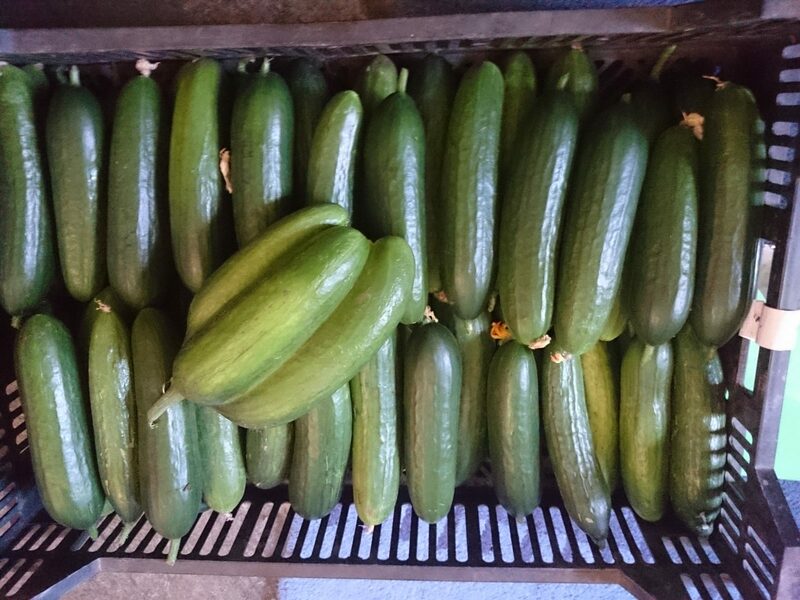 We picked more than 80 cucumbers for last week’s veg boxes, with hundreds more to come. 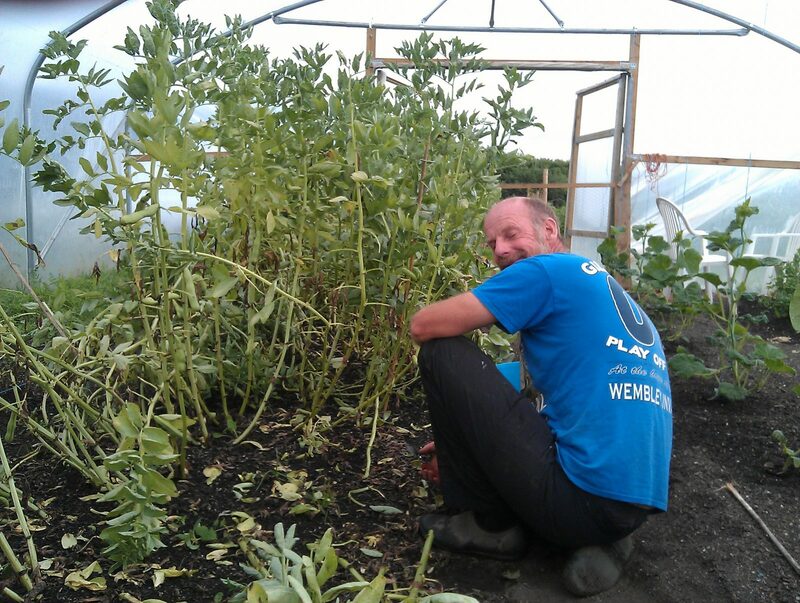 Camel CSA’s professional growers – Bridget and Mark N – have been picking and clearing the last of the peas and broad beans in the polytunnels to make way for more tomatoes and cucumbers.